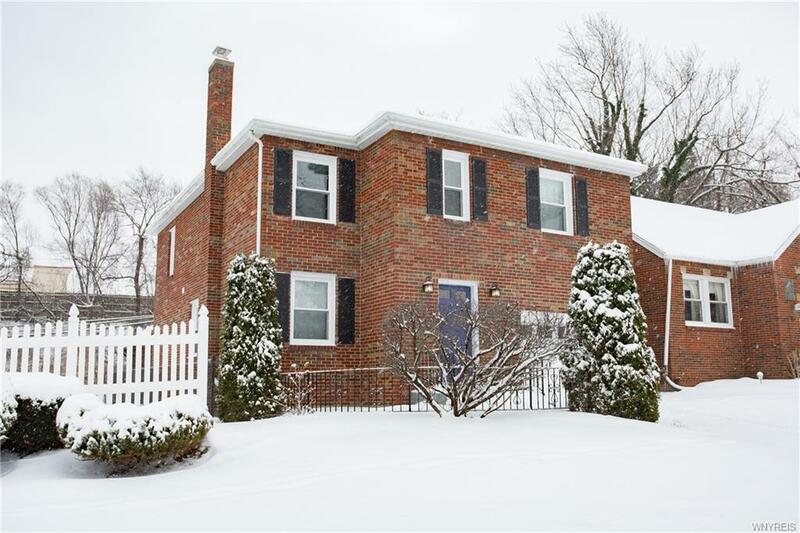 95 Windermere; Stunning & completely remodeled, this all brick Amherst colonial boasts 4 bedrooms and 1.5 baths! Walk into your oversized living room with hardwood floors that continue to the dining room. Your new kitchen opens directly into the dining room, has a peninsula with room for bar stools, granite countertops, stainless appliances, and a tiled floor. First floor half bath! Upstairs youll find four fantastic bedroom sizes, with hardwood flooring in each one. The master even has his and her closets! Your full bath is completely remodeled with custom tiled tub surround. The Full basement with laundry area; the new washer and dryer are included! private backyard has an adorable shed, and plenty of room to entertain and garden! Newer architectural roof, replacement windows throughout, newer furnace, & 150 amp electrical panel. Amherst School District! Conveniently located steps to the Metrorail for an easy commute downtown!